A relatively quiet parrot, the domestic African Senegal makes a good pet and companion for owners who might hesitate to keep noisier birds. Friendly and acrobatic, these bright green and yellow clowns must be socialized early and their domesticated behavior patterns must be regularly maintained in order that they stay tame. 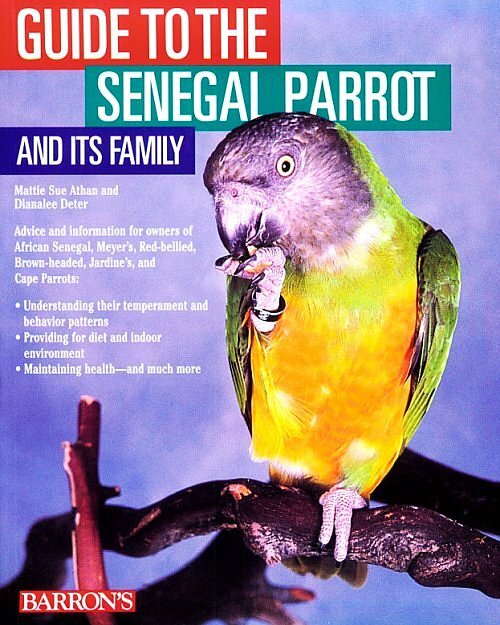 This book offers valuable clues to the Senegal's sensitive temperament and other specialized needs, and information about the bird's behavior, dietary needs, and appropriate indoor environment. Paperback / 96 Pages / 6-1/2" x 7-7/8"